Creating Ink Stripes can make for an unusual and unique background for any of your card designs. This pretty look can be achieved very easily and the video will show you how to get this result for your self. 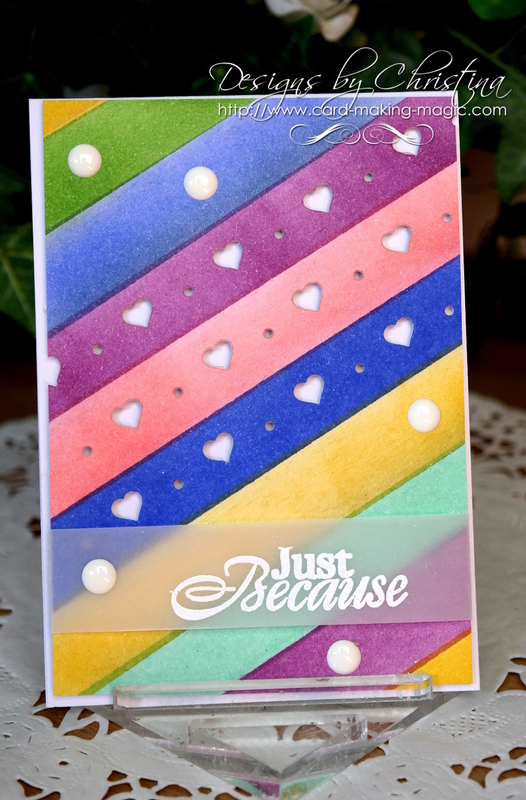 Once the stripes are on the card you could add water droplets to it and then remove them with a paper towel to give you another blotchy effect for you background. You don't need to add the pattern to every strip .. in fact it is more effective if you don't. Two or three will do the trick, or maybe add the pattern to every other strip for another look. The sentiment has been stamped onto some parchment and then wrapped around the panel before adding it to the base card but you could stamp it separately and add it onto another label of you wished.